The great seer and saint Shri Kartikeyaji was born in a highly respected and distinguished Brahmana family of Uttar Pradesh, a State in Northern India. Even in his early days he gave ample and unmistakable signs of a promising genius. He was gifted with a faculty of prescience, and as a small boy he was able to recite great Sanskrit classics like the epic Mahabharata with a perfect ease and scholarly fluency. He surprised everybody by chanting the famous and sacred incantations of the Gayatri-Mantra on his own, though he was never taught it. Still a child, he left home and roamed about amongst the desolate peaks of the Himalayas, like those of Kailasha, and visited places like Lake Manasarovar, which for centuries of the hoary past have been the abodes and the seats of the mystics and the votaries of spiritual practices. A visit in the shrine of Badrinath inspired him unequivocally to dedicate his life to the service and uplift of mankind. Gospels, philosophy, meditation and the study as well as the teachings of Yoga were the ideals that ordained him to work for making the world a better and blessed place. 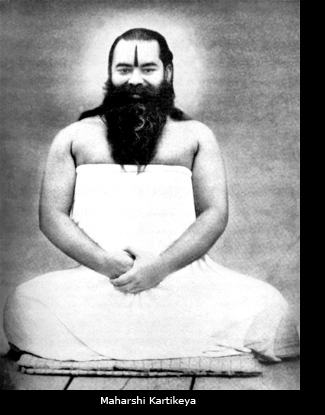 He had a charming personality, which could inspire the devotees and the spiritual disciples. Through meditating on him they used to get the fulfilment of their wishes and the realisations of their ideals. Every letter, word and even the very tone of his speech was so melodious and so potent in resounding the innermost cords of human mind and heart, that none who listened to him could help experiencing Cosmic Bliss. He possessed matchless capabilities and a perfect knowledge of almost everything under the sun, and he was a unique judge of the aptitudes, potentialities and character of men. Shri Dhirendra Brahmachari had the good fortune and the singular privilege of attracting the attention of this great soul. Finding that he had an aptitude and eagerness to take to the path of Yoga, he initiated him into the highly treasured and little known mysteries of Yoga. 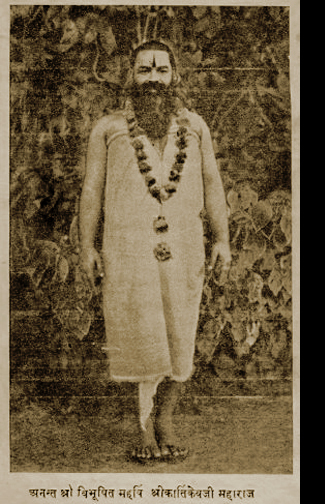 He adviced him to dedicate his life to the service and welfare of mankind through rare, valuable yogic techniques like “Yogic Sukshma Vyayama”, the system of subtle yogic exercises. During his lifetime Maharshi Kartikeyaji toured extensively throughout the length and breadth of India and benefited countless number of persons. In the year 1953 he finally reached Ayodhya, the birth-place of Lord Rama, where on the bank of river Sarayu, while the evening-prayer was on, he entered into Maha-Samadhi, sitting in Siddhasana before a large gathering. It is generally believed that he was 335 years old at that time.